Daqahlia Sugar & Refining Company is one of the biggest companies in the Middle East for extracting sugar from beets, Daqahlia Sugar & Refining Company is an Egyptian joint stock company incorporated in accordance with the Act 159 of 1981 with an authorized capital of one billion Egyptian pounds and the Company’s issued capital 850 million pounds, divided into 85 million shares each with a value of ten Egyptian Pound per share. The amount of beet supplied 20 thousand tons / day. The amount of beet supplied 2300 thousand tons / season reaches maximum capacity of 2500 thousand tons / season. The amount of sugar produced (beet) / year of 300 thousand tons.. The amount of sugar produced (refining) / year 200 thousand tons. The amount of beet waste / year 140 thousand tons are exported in full.. The amount of beet molasses from producer / year 130 thousand tons are exported in full. Use of natural gas as a primary source of energy in all industrial processes. Construction of a sewage treatment station under the supervision of the Faculty of Engineering – Mansoura University. Factory location is away from the residential area about 40 km from all sides in center of land reclamation area of 55 thousand acres. Coordination between the company and some environmental organizations to develop the preservation of the environment systems and performance improvement. Construction of industrial Waste Processing Station according to the environmental laws. 1250 workers are employed in daqahlia sugar factory, besides thousands of external labor in agriculture, transport and seasonal employment. Provide private transportation for the transfer of workers from neighboring areas of the factory. Provide accommodation for bachelor workers and Reduced-Price meals. Provide family residential housing in the city of the factory. Medical care for all employees. 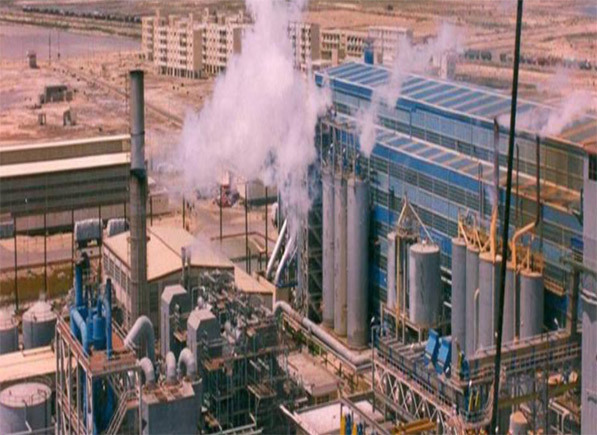 The factory’s presence in a desert area leads to the creation of urban community and attract population leads to improvement of the standard of living in the region and to encourage existing agricultural land reclamation associations to expedite the reclamation operations for the cultivation of land for sugar beets. Daqahlia sugar company employ the most advanced technologies available for automated operations and control in sugar production and with the latest international electronic control systems.